Erin Mock joined the team at Syverson Strege in January of 2016 and is one of the firm's CERTIFIED FINANCIAL PLANNER™ practitioners. She earned a Bachelor's Degree and a Master of Family Sciences in family financial planning from Iowa State University. 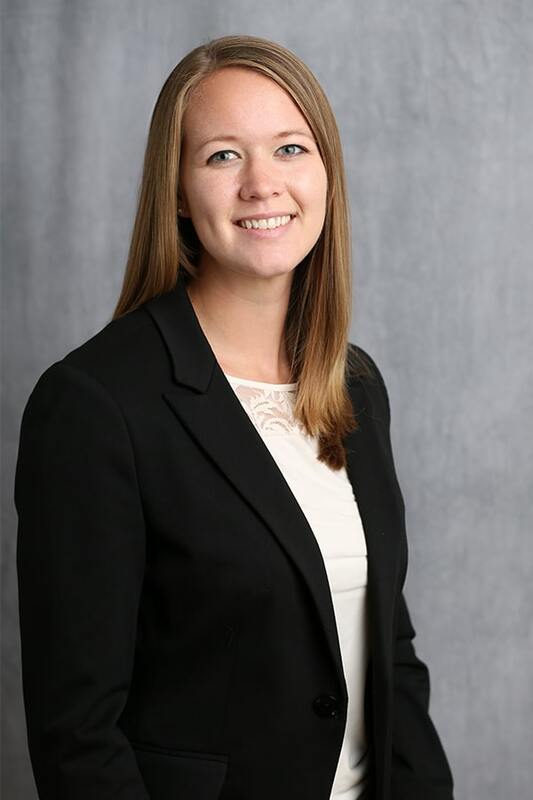 Erin's role as a Financial Analyst with the firm allows her to build financial plans and develop strategies for clients to get them on the right path. I live in Ankeny with my husband, Tyler, and my two ever-energetic and playful border collies. I am involved with Keystone Church of Ankeny and I enjoy spending time with my community there. My family and I are also avid soccer fans and enjoy playing pick-up games and like to travel around the Midwest to watch soccer matches and other sporting events. In my spare time I like to go to the lake, read, and spend time outside.